Activists often gather information to support their causes, and communicate that information to larger audiences to acquire support, a process that just might begin with a peek in the stacks. 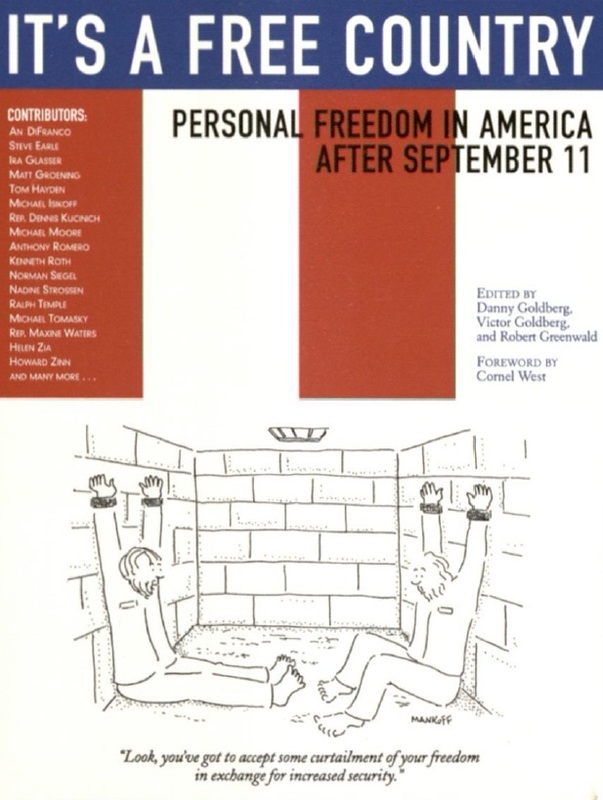 Archival materials in numerous collections held in Special Collections & Archives give potential activists an opportunity to recognize patterns and identify the causes of recurring phenomena, especially institutional and systemic discrimination against women, communities of color, and the LGBTQAI+ community. 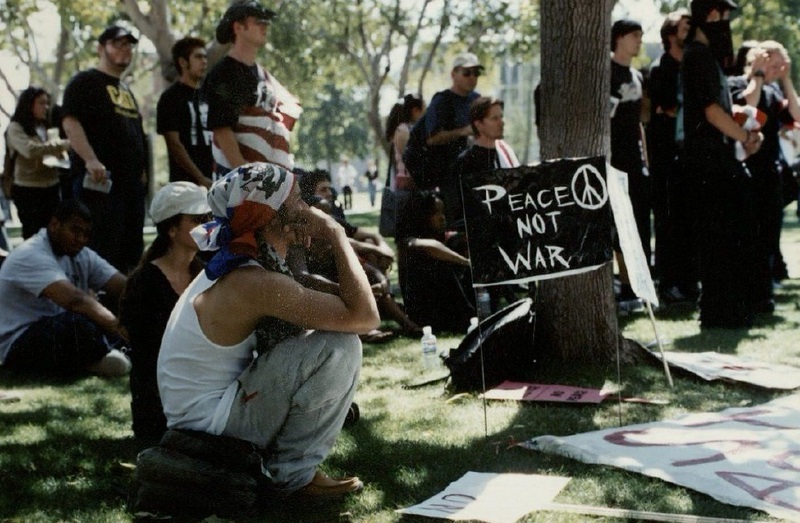 CSUN's student body has a proud tradition of public demonstrations and protest. 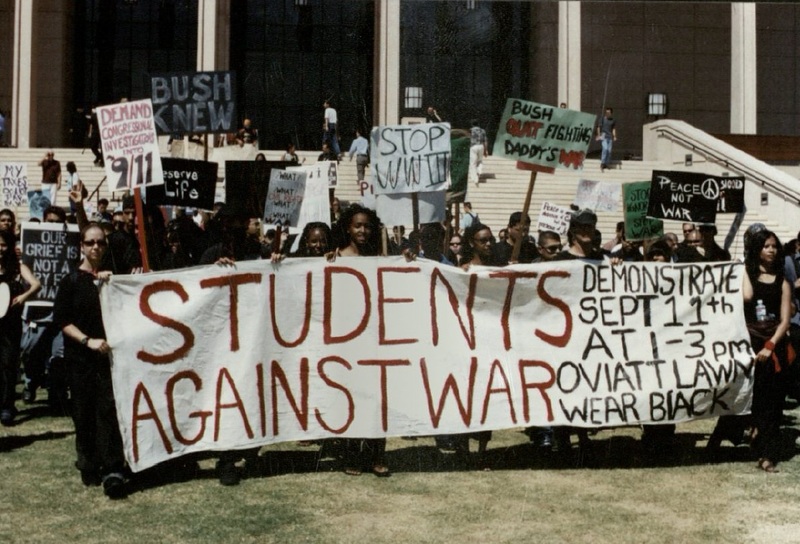 Archival collections that document CSUN contain much photographic documentation and other evidence of student organizations like the Black Student Union (BSU), CSUN's chapter of the Movimiento Estudiantil Chicanx de Aztlán (MEChA), Students for a Democratic Society (SDS), and others that were dissatisfied with the absence of classes and curricula focused on communities of color in the late 1960s and with the Vietnam War. 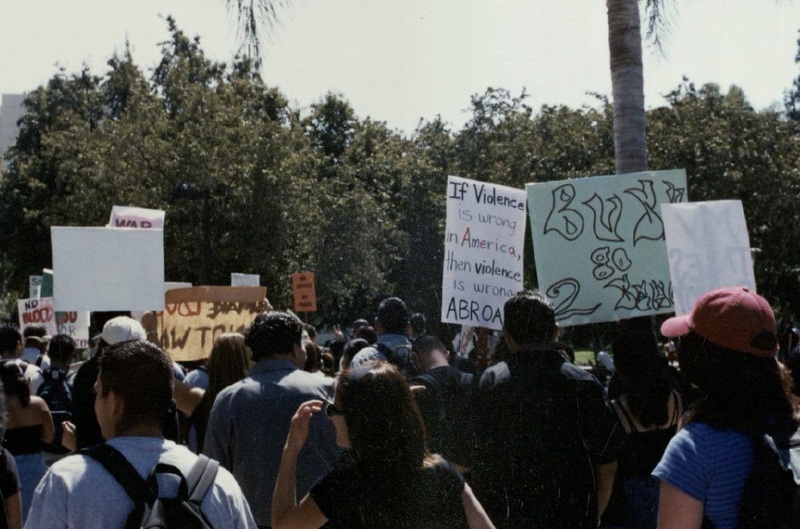 These resources help students and other researchers today understand the tactics and strategies adopted by members of activist movements on campus, as well as their effectiveness at creating change. Some activism occurs around the protection of our civil liberties, including in the realm of education. Professor Rudy Acuña challenged the authority of the Regents of the University of California between 1990 and 1996, ultimately prevailing in his efforts to argue the Regents had engaged in age discrimination when they denied him a faculty position at UC Santa Barbara. Throughout the process Acuna kept many files and documents, especially correspondence, which researchers can now study to learn about the process he went through and challenges he faced. In the early 2000s, before widespread use of the internet, newspapers were a critical tool for communication with large and diverse audiences. Activists often organized public demonstrations and press conferences so journalists would attend and publish articles in newspapers, thus spreading their messages in print. 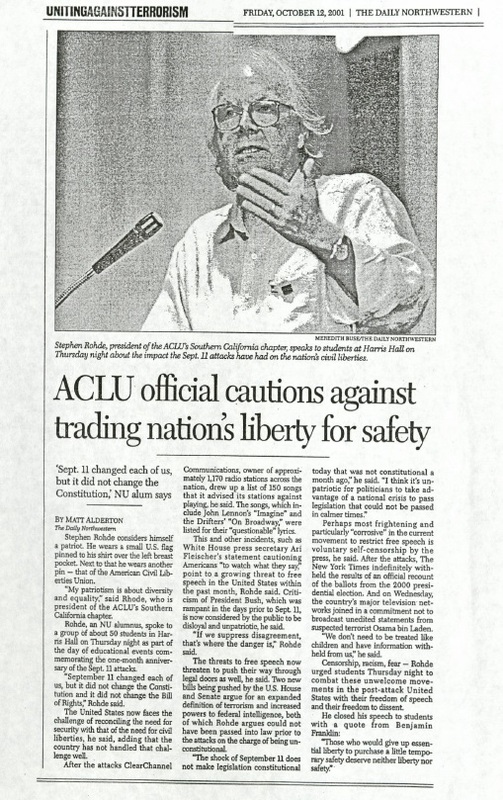 An October 12, 2001 headline in the Northwestern Tribunal included in the Vern L. Bullough Papers reads "ACLU official cautions against trading nation’s liberty or Safety." 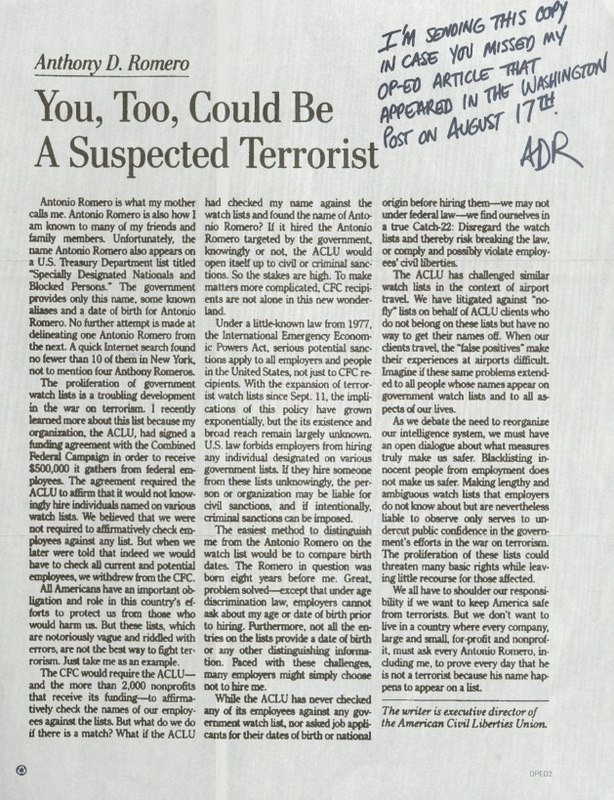 Printed weeks after the events of September 11, 2001, the headline refers to the Patriot Act which limited the civil liberties of individuals profiled to be a threat, especially Muslims. The American Civil Liberties Union (ACLU) worked to protect the civil rights and liberties of Muslim Americans as the law was implemented. The preservation of archival resources remind us that today's activism around myriad issues and topics occurs within a larger context. The documentation of activism via photographs, newspaper clippings, papers, and more helps current and future activists raise public awareness, discover effective activist practices in different contexts, and ultimately realize real change in society.